According to the American Humane Association 56 percent of dogs that enter animal shelters are euthanized for a variety of unfortunate reasons. This heartbreaking statistic inspired a group of pilots to help out the best way they knew how: by flying. The all-volunteer organizations Pilots N Paws and Wings of Rescue coordinate missions of air transport for the surplus of pups, taking them to other rescue centers to which they’re partnered. Animal lover Debi Boies inadvertently founded Pilots N Paws in 2008 when she and pilot Jon Wehrenberg saved a Doberman’s life by flying it from Florida to South Carolina. After brainstorming ways to perform more rescues, the Pilots N Paws website was launched. The site serves as a connection forum for volunteer pilots, rescue organizations, and foster homes to communicate and organize the transportation of animals in need. In its short nine-year lifespan, Pilots N Paws has rescued over 75,000 animals, with no sign of slowing down. Wings of Rescue is based in California and flies their furry passengers (including cats) to happier homes all along the West coast and Canada. Founder Yehuda Netanel is a pilot of 27 years and led the first rescue mission by himself, relocating 300 dogs on death row. 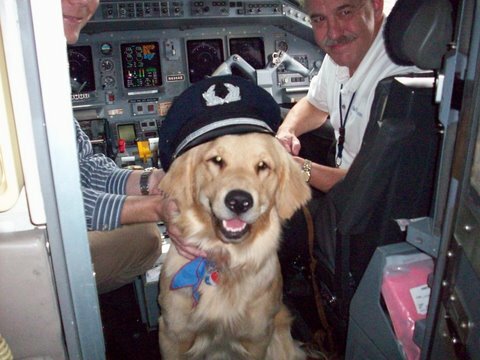 Netanel is now joined by 28 other volunteer pilots who expect to fly 7,000 pets this year. The very lucky pooches are snuggled in their individual crates, in which most of them sleep for the duration of their flight. Anj Garcia, a long time pilot for Wings of Rescue, admits to cuddling with those who get airsick and can’t sleep. Both organizations are non-profit and are funded solely from donation and lots of love. Their aviation alternative method is safer, faster, and more effective than lengthy ground transportation. If you are a private pilot, a shelter organization, or just an avid animal lover, learn more about these life-savers and how you can help on Pilots N Paws and Wings Of Rescue.